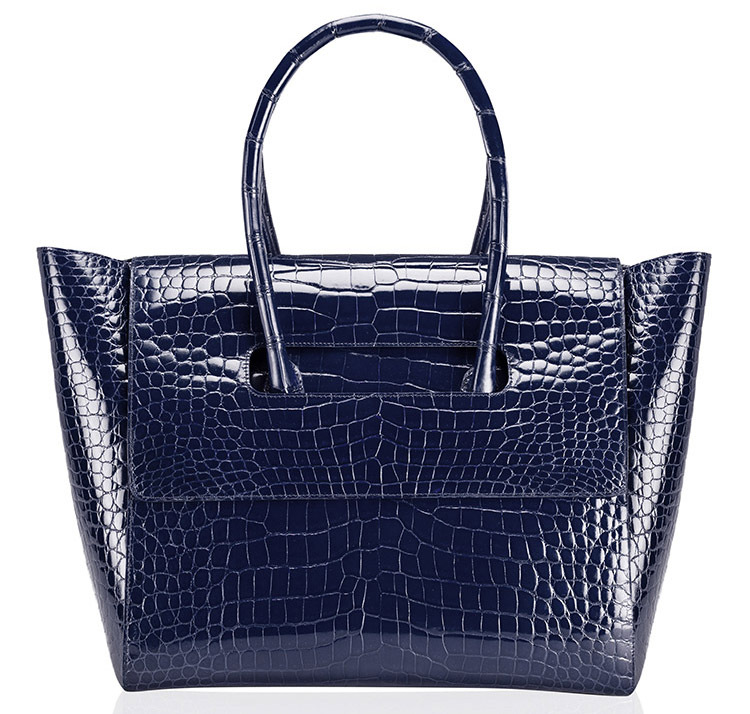 If you’ve never heard of Maison Ullens, we’ll forgive you–I hadn’t until this bag and some other beautifully French travel options (most at regular fancy-bag prices) popped up for pre-order at Moda Operandi. The brand is French, but that’s more or less all I can tell from its relatively sparse website, which doesn’t offer much in the way of a brand history or heritage pitch on why you should pay this much for its bags, as most of the designers who want to sell at this price level do. Thinking about spending this much money on a bag, let alone one from an relatively unknown brand, frankly makes me feel a bit nauseous. Moda Operandi tends to pick its brands very, very carefully, though, so if you’ve got stacks of cash sitting around your house instead of furniture and you’re bored, then sure, why not? Since it’s a pre-order, you’ll only have to cough up $28,000 and change beforehand. It’s worth noting that the sale includes the same bag in leather, plus several other lovely pieces, in the $2,000-$3,000 price range we’re all used to. Take a look, I think you will agree the VBH Pandora Demi Lace-Cut Crocodile Satchel is to die for! When I first laid eyes on this bag, by V. Bruce Hoeksema, my jaw literally hit the floor. This piece is just so unbelievably gorgeous! For some reason, handbags like this one are not what I think of when I think of VBH bags. I tend to think of designs such as the VBH Brera 30 Sport Python Satchel in Multicolor (Paint Splatter). I don’t know why, but that paint splatter design just seems to be burned into my mind. Just take a moment and look at this bag! Light grey crocodile provides the backdrop to this satchel. It is the perfect, seasonless color for when you want something a little bit different. But that isn’t what is so special about this handbag. That would be the lace-cut design along the sides. The pattern is beautiful and dainty. This is a great, feminine piece that would look great with just about anything. Classic and gorgeous. The VBH Pandora Demi Lace-Cut Crocodile Satchel is a bag that was made to last decades, and that is reflected in the price tag. Since this is crocodile, the price tag is pretty steep. The luxurious exotic crocodile retails for $9,950. I wish there was a croc-embossed leather version available as well. It would have the same look for probably less than half the price.